We got a heads up that the Gully God and Alkaline would be dropping a response to Vybz Kartel’s “Round Corna” diss track by this weekend. This track is only from Mavado and was produced by Stephen “Di Genius” McGregor, who himself is no fan of Kartel following a bitter fallout a few years ago. 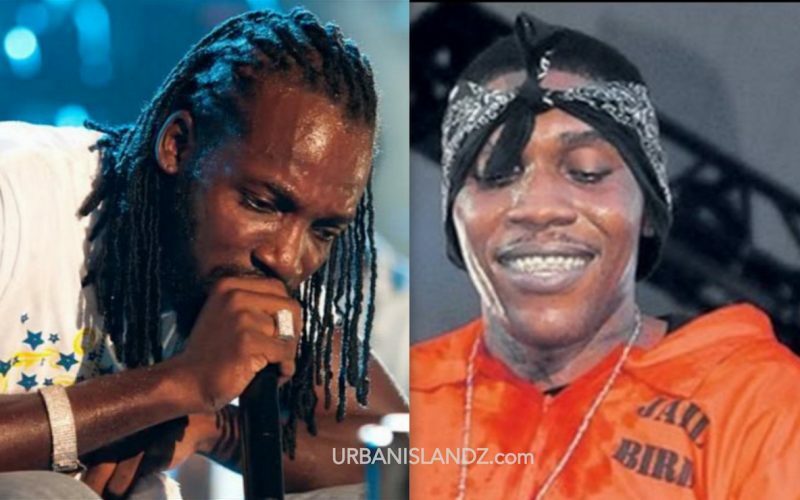 “Any step wah yo step a must be the warder a step / headless body when the brawla a step / So mi kill off the f** left the Gaza a fret / Place take over mi buy him kids them ice cream,” Mavado deejays while dropping some bars about Vybz Kartel life in prison. “Them no bad a pon them cell a tell say Kartel a batty man in a number two cell,” Mavado deejays in another line. The song also include a clip from radio personality/poet Mutabaruka reading a letter from Vybz Kartel about authorities searching cell block number two where he is housed at the prison. Listen to Mavado new single “Mr. Dead (Vybz Kartel)” below.